Player FM makes podcasts easy to discover and manage in the cloud. Cloudinary helps Player FM fetch, manipulate and embed publishers' images, on-the-fly. Pitchup is the UK's largest website for booking campsites. Pitchup use Cloudinary to serve great imagery of wigwams, yurts, tipis and pitches in different formats. Now also in France and Ireland. Vowch is a mobile app that lets you put your stamp of approval on everything you're into. Vowch makes sharing, caring and opinionating easy by allowing you to predict what will be hot in the future and discover what other cool members are into. Vowch uses Cloudinary's iOS integration to share and manage user uploaded images. Cheersy offers great daily deals that you don't have to plan months ahead for. Spur of the moment spontaneous deals around the city helps also put the power back in to your local bar or restaurant. Cheersy utilizes Cloudinary to upload, manipulate and deliver all of their great mouth-watering daily deal images. Lulu is a private network for girls, to express and share their opinions openly and honestly about guys they know. All the images brought to you seamlessly throughout the web and mobile app are hosted, cropped (face detected to perfection), and delivered by Cloudinary. Roadtrippers is a web and mobile road trip planning platform that streamlines discovery, planning, booking and navigation into one engaging service, featuring a huge database of amazing places. Every breathtaking image is uploaded via Cloudinary, enhanced, optimized and delivered to the palm of your hand, for the best trip planning experience. Bookbub lets you know at any given moment where the best book bargains are, and allows you to purchase them with ease. All book jackets uploaded on site are delivered seamlessly via Cloudinary, letting you make the best purchase in town. SpotHero saves you the headache of searching endlessly for parking in big cities. From confusing signs to strange symbols, Spothero takes the hassle off your hands. This app utilizes Cloudinary to custom crop, store and showcase all the available parking spots in your chosen area. GiveForward is an online fundraising website. With a strong emphasis on medical fundraisers and the only site with fundraising coaches, Give Forward helps you create a successful fundraiser for a cause that is important to you. Cloudinary helps users upload their fundraiser pictures to personalize their story, and delivers them seamlessly on the GiveForward website. Echoed is a place to share all your favorites, from your furry pet, to your latest knitting endeavor or new jeans skirt. Echoed image laden interface utilizes Cloudinary for image upload, storage, manipulation and delivery, making use of the many available features. That sums up our latest "10 Startups" article. We are happy that our customers continue to challenge us in extending and enhancing our feature set, and hope that these companies help showcase some of Cloudinary's various workflows and different integration methods. 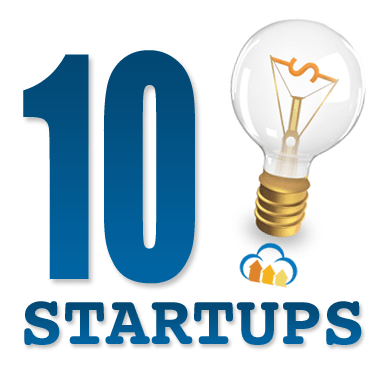 Want your startup on our next 10-startups list? Drop us a line! We would be happy to spread the word about your venture! Got any other comments or thoughts? We would love to hear them! You can also check us out on Twitter, Facebook.